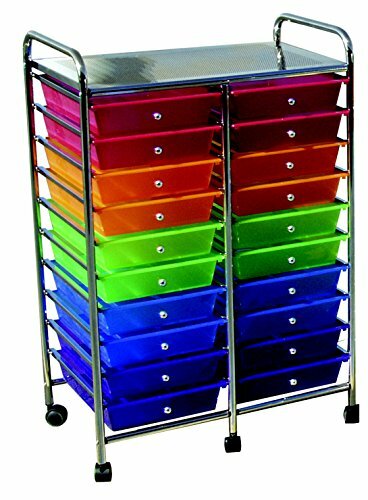 School Smart Mobile Organizer has 20 colored drawers, making it a brilliant storage option for the classroom. This organizer has a chrome frame with welded drawer rails, a chrome top shelf and it accommodates a wide assortment of items, from art supplies to reams of paper. It comes with 2 locking swivel casters for easy movement and it fits comfortably into small spaces. Easy assembly required. Measures 39 X 21-3/4 X 14 inches.